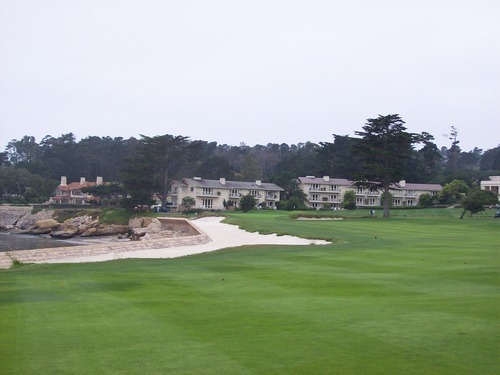 With the AT&T National Pro-Am PGA event coming up this weekend, it’s hard not to think back to my own experience at one of the world’s most revered golf courses—Pebble Beach Golf Links. It was back in 2006 when I played there. 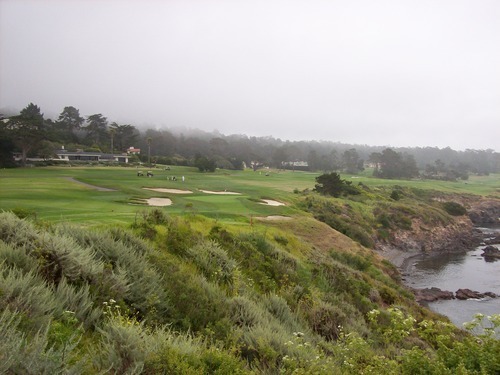 To see where I’ve traveled to in the past few years and to add up all the expenses I’ve had, you might not think a trip to Pebble Beach would be that big of a deal to the Golf Nomad. But when I played there, I was in a different place in my life. I had driven up and down throughout California and Southern Oregon many times and often stopped to golf along the way, but never went anywhere too expensive. At that point, I think I had only paid more than $100 for a round of golf once in my life—a few years earlier when I played Bandon Dunes for the first time. It was not too long after the first course there had opened and the price was barely over $100. Since then, I’ve only played at Bandon in winter months when the rates at the resort are drastically reduced and the weather is even less predictable. 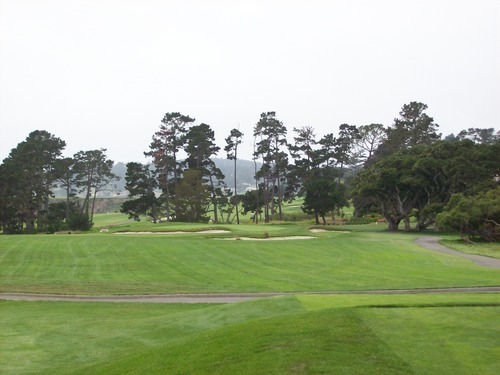 To play Pebble Beach in 2006 meant forking out $450. That’s a lot of money for anything, let alone a round of golf. 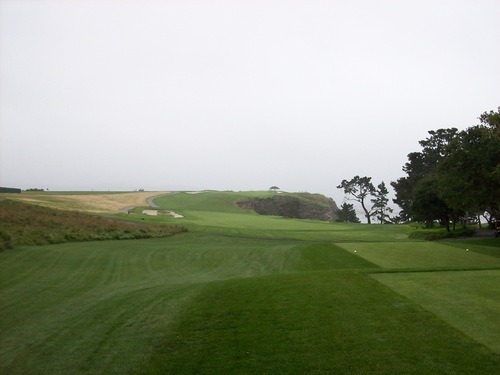 But Pebble is a special place and I knew it would likely be a once-in-a-lifetime experience on that legendary track. My other justification was that the price would likely only go up from there (which is exactly what has happened since then) and I might as well not wait any longer. The $450 was a walking rate. Non-resort guests have to pay an additional $50 fee for a cart. 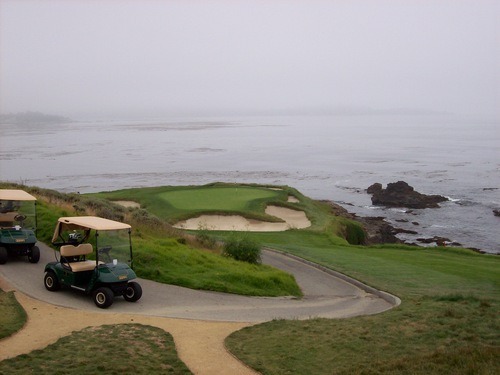 However, I wanted nothing to do with a cart when I played Pebble. I wanted to walk those hallowed grounds and soak in as much of the experience as I could. Also, the course plays as cart-path-only, which is kind of a pain anyway. Back then, if you were not staying at the resort you could take your chances as a walk-on or call the day before to inquire about open tee times. I’m not sure if it’s still the same. Luckily, when I called the day before I had planned to play, they had a 10:00 tee time open for a single and I snatched it up quickly. I was so dead-set on playing, I would have been devastated if no times were available! I got there way early and walked around the grounds before teeing off. There is a lot of activity around the clubhouse and shopping/dining areas right there next to the course. Plenty of crowds seemed to be watching players tee off on the first hole and milling around the putting green. That added a little intimidation factor to the experience knowing I’d be teeing off with lots of folks watching. For the record, I hit a nice safe 3-wood off the first tee and didn’t completely embarrass myself! The rest of the day is almost a blur now, six-and-a-half years later, but it was a special experience I’ll never completely shake from my memory. 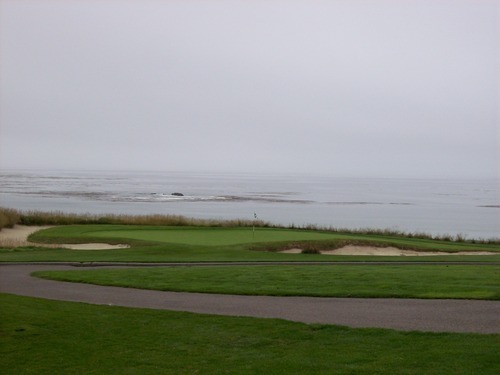 I’ve played over 200 courses since that day, but will always have fond recollections of my first (and hopefully not my last) round at Pebble Beach. It was an overcast/foggy day and the sun unfortunately never broke through. It was fairly windy, too, but not terrible. What I do remember is that I played like total crap. 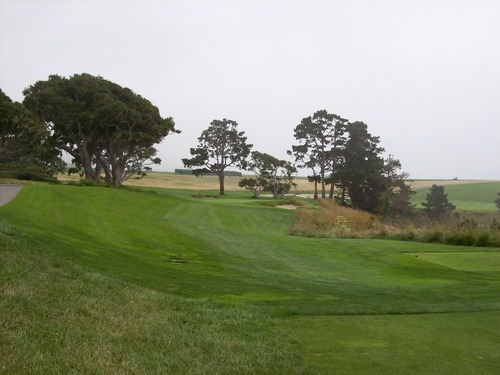 I had a big banana fade/slice going that day with my driver, and if you know anything about the design of Pebble Beach, all of the holes along the ocean slope from left-to-right and off the cliffs. I was able to keep the ball in play for the most part, but it wasn’t an easy day with the swing I had. 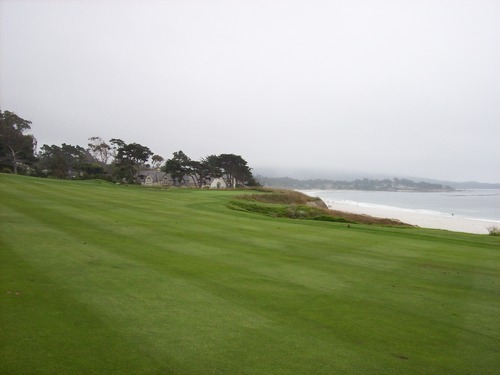 Of course, Pebble is known for it’s tiny greens that run very, very fast and have very, very severe slopes (usually running toward the ocean, as well). Shot-making is at a premium here and bad shots will definitely kill your score. The highlight of my round was actually after the famous stretch of oceanfront holes (4-10). 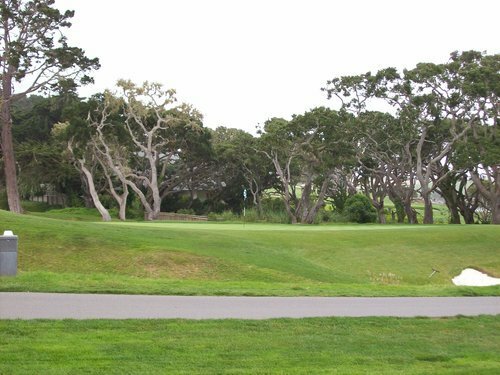 On the 11th hole (which is maybe the least interesting hole on the course as it runs slightly uphill and away from the ocean views), I hit a nice drive, then a good approach shot that ended up on the back of the green. The hole was in the middle of the green and I had a delicate 20-foot (maybe it was 15, but time tends to exaggerate things) downhill putt with several feet of break. I found the line and sank the putt for my only birdie of the day amongst a lot of other nasty scores on the card. That stretch of holes along the ocean is truly spectacular. It’s also quite fun and very challenging. The 5th is a tough par-3 with little room for error. 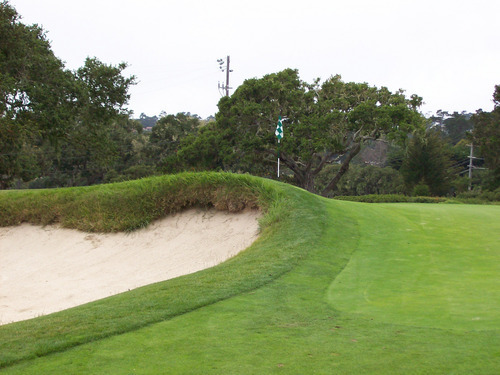 The 6th is a really tough par-5 with a blind uphill approach. The 7th is truly majestic. It is one of the most beautiful and fun par-3s you’ll ever get to play. It’s also very tough with a big drop-off and absolutely no room for error. I chose my club poorly and flew the entire green, sending my poor ball straight into the ocean behind it. Oh, how I would just love to sit up there someday with a bucket of balls and a wedge. Wouldn’t that be the ultimate dream to fire as many balls as you want at that green? 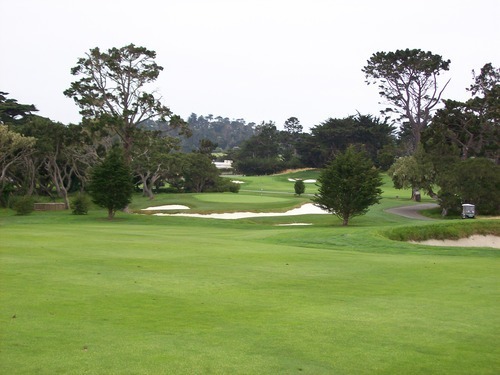 The 8th hole is one of the toughest around with a semi-blind tee shot. You have to be as close to the right edge (i.e. the cliff) as you can without going in to have a good approach angle and manageable distance. But you can’t see where you are hitting to from the tee, so it’s hard to be too precise or aggressive. 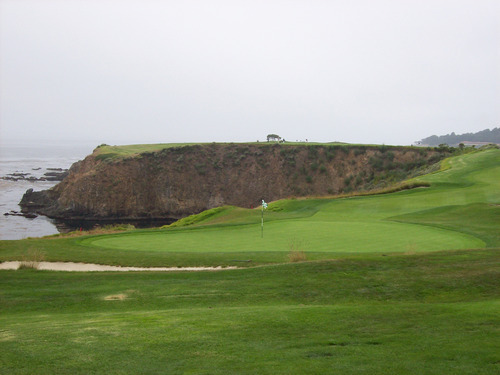 Then, you have a knee-knocking second shot to a minuscule green on the opposite side of the cliff. The 18th is, of course, one of the world’s most iconic finishing holes. It’s a very intimidating tee shot, but there’s more room out there than it seems depending on the angle you take off the tee. 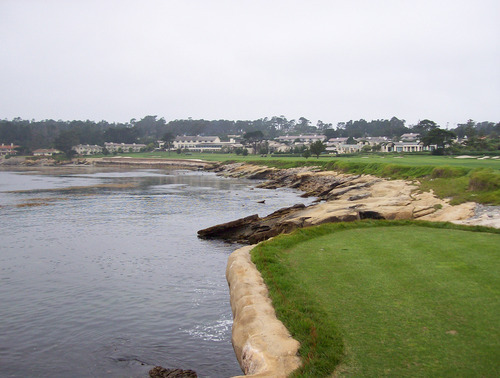 The other well-known hole at Pebble Beach is the par-3 17th, with its unique peanut-shaped green and location out on the point. However, to me, this hole is a little underwhelming in person in terms of its visual appeal. When you see it on TV, you always see the views from high above and it always looks breathtaking. But at ground-level it’s a pretty flat hole and from the tee box you don’t see the ocean behind it. The green is very cool and unique and you get some good views as you get closer to the green. And, it’s one heck of a tough hole because of that crazy green and the big bunkers protecting it! 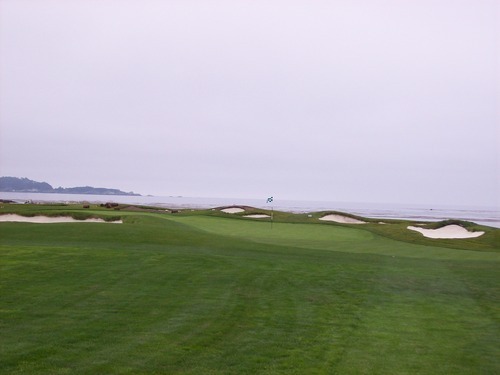 Golf Magazine likes to rank Pacific Dunes in Oregon as the #1 course in the U.S. that “you can play” (as in public, not private) and Pebble Beach is always there at #2. Though Pebble is not my favorite course I’ve ever played and the price is a major deterrent for a return visit any time soon, it is so iconic and historic that it should be at or near the top of your bucket list and definitely above any of the Bandon courses. 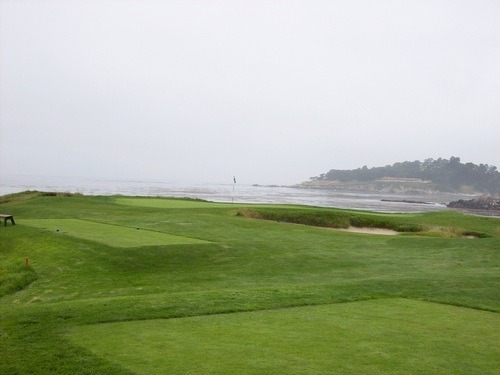 Don’t get me wrong, those are special, as well, but playing Pebble is a rite of passage and a journey that every serious golfer should take at least once in his or her life. It’s worth a one-time splurge, so save your pennies and make your plans. I’m so grateful I had the chance to play there in 2006 and I hope someday I can return. 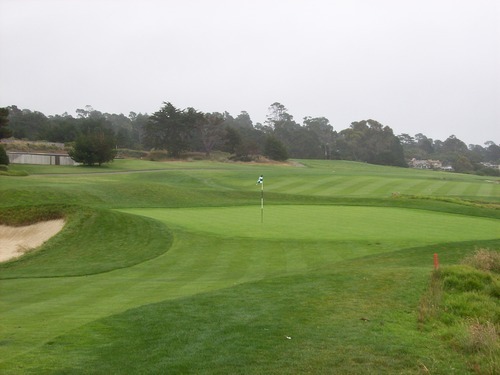 I’ve since played most of the public/resort courses on the Monterey Peninsula. Every trip up there is special, but at center of it all is this world-famous course that deserves its place amongst the pantheon of high-end courses. Even just driving by it on the way to other courses still gives me a little chill. It’s just one of those special places in the golf world.